There are a broad range of possibilities in the art field. From a fine artist selling unique paintings, to a college professor teaching art classes, to a graphic design artist creating work for a specific company, the artistic field is full of a variety of career paths. When looking into the art field, potential salary, necessary education, and personal interest, are all important factors in choosing the right path. Typically when someone hopes to become an artist, they picture a glamorous world of fine art–gallery shows, creatively expressing oneself without restraint, and earning income through artwork sales. However, ignoring the serious challenges in this field and failing to plan ahead typically results in a frustrating lack of career options. Artists have to work hard to get noticed and stand out among their peers. The majority of fine artists are supported mainly by commissioned work or a specific career in the art world. Many fine artists become teachers, or find a niche where they are hired by clients who are looking for a certain style and subject of art. 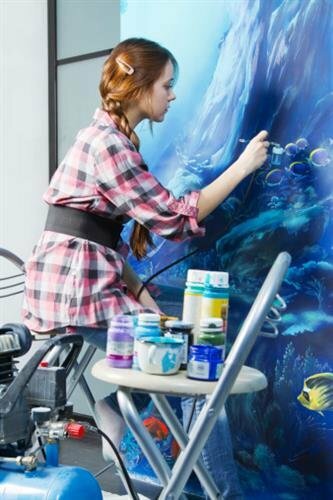 Some fine artists attend school and major in both fine art and graphic design so they are able to have a larger range of job options after graduation. Many novices believe they can teach themselves, but this mistake results in falling behind and producing amateur work. Four years in a strong art program teaches the discipline, technique and critical eye needed in a successful art career. Developmental assignments, critiques with peers and professors, and portfolio building, are just a few of the important things art school provides. Postsecondary schooling also produces personal contacts and opens a window into the art world. A bachelor’s degree is a common requirement for graphic design artists. Fine art majors often continue on to masters programs to have a better footing in the fine art arena as well as the ability to teach college art classes themselves. Find out exactly what it takes to get where you want to go–interview those who have been successful at doing whatever it is you want to do. Ask artists you admire what they did to get where they are and be sure to ask more than just one source for advice. Knowing a bit about what to expect, and what it takes to get there, will help determine the career and path that is right for you.